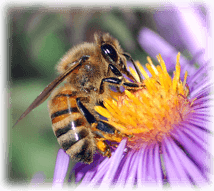 At Pest Pros, we serve as your source for locally owned and operated bee removal on Cape Cod. Here on the Cape, we love the outdoors and enjoying all that this beautiful part of the country has to offer. But a bee infestation can quickly turn a beautiful day into a major inconvenience. That’s why we respond quickly to bee infestation on Cape Cod — delivering the urgent solution you need for this urgent matter. Since 1999, we’ve been helping area home and business owners with bee infestation and a range of other pest issues. When you need a bee exterminator in Cape Cod, trust the experienced team you’ll find at Pest Pros. There are a variety of bee species that we can help control. Whether you have an issue with honey bees, yellow jackets, or wasps. Our team has the knowledge to take care of your infestation. Bees cause a variety of different issues depending upon their species. For example, yellow jackets form colonies under porches or steps. These colonies contain many thousands of bees. 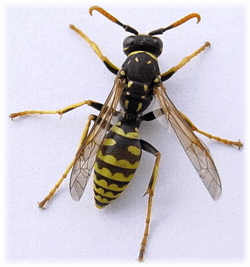 The sheer number of yellow jackets in a colony is huge which causes a big problem for home or business owners who experience a yellow jacket infestation. Wasps also live in colonies with thousands of bees and build nests which can be dangerous to control on your own. Whether you have a yellow, jacket, wasp, or honey bee infestation your safest option to control bees is to call a professional. If you notice a bee infestation on your property call us immediately! At Pest Pros, we can serve as your bee exterminator in any number of towns throughout the Cape Cod area. We often work in Plymouth, Falmouth, Yarmouth, Hyannis, Chatham, Barnstable, Wareham, Dennis, Orleans, Duxbury, Scituate, Kingston, Marshfield and Sandwich. We offer free inspections and estimates that give you an idea of the scope of your problem and the cost to resolve it. We always offer affordable rates and green solutions, so you always know you’re getting a great deal and environmentally friendly service. Make sure you get the best in bee extermination and similar pest control services when you choose Pest Pros. Contact us today for a free estimate or inspection.